Beautiful Westside location near ubc and Down town, close to Buses, Shopping, 1BR / street parking no smoking cats are OK - purrr Beautiful unfurnished one Bedroom garden suite , near ubc, close to Busstop and downtown available from April 1st on.We require a Single Working person , a 6 months lease is required, with local References. "The suite is for One Person Only. "The rent is $875.00, it includes heat and hot water.If you are interested send me a few lines and tell me something about yourself, Non Smoking only and no Pets please, [cat is ok]Damage deposit as usual .5 months rent. 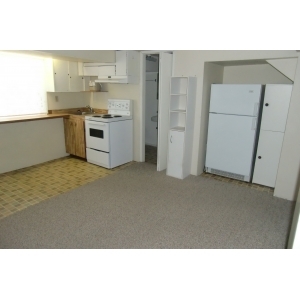 Drugstore,Community center.$875 / 1br - Bright 1Bedroom Suite ,near ubc, Garden, utilitys (dunbar/22nd ave ) � 1BR / 1Ba apartment street parking no smoking cats are OK - purrr Beautiful unfurnished one Bedroom garden suite , near ubc, close to Busstop and downtown available from April 1st on.We require a Single Working person , a 6 months lease is required, with local References. "The suite is for One Person Only. "The rent is $875.00, it includes heat and hot water.If you are interested send me a few lines and tell me something about yourself, Non Smoking only and no Pets please, [cat is ok]Damage deposit as usual .5 months rent.